Performance Boat Candy™ Vinyl Clean™ is specifically designed to quickly and gently lift and remove dirt and oils from your boat’s vinyl. This pH balanced formula cleans and preserves vinyl and restores its original brilliance while protecting it from the sun’s harmful UV rays. 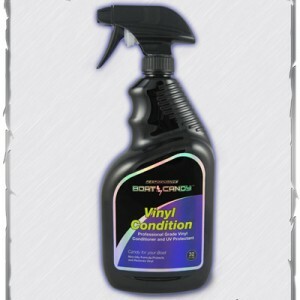 Vinyl Clean penetrates pores and leaves your vinyl looking and feeling like new. 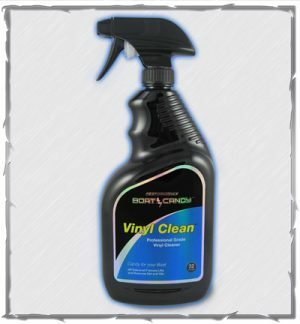 Tested by the leading marine vinyl manufacturers, Vinyl Clean yields a deep cleaned surface that’s safe for daily use.